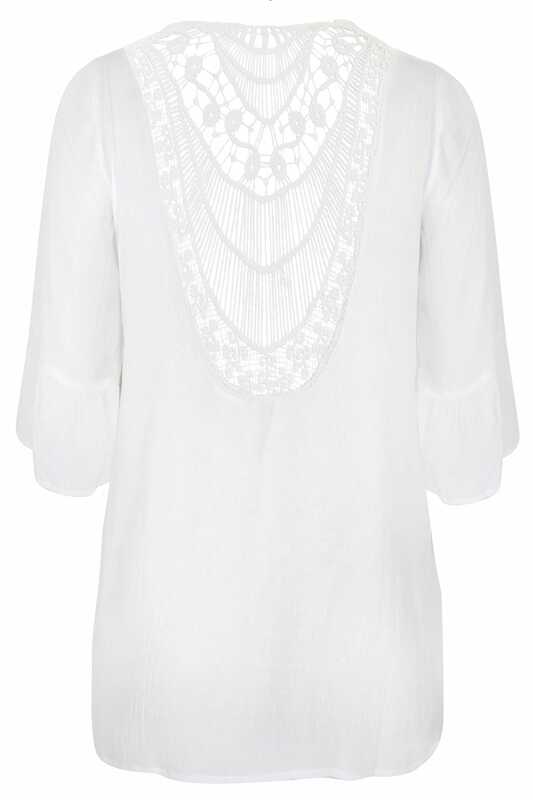 Made from a lightweight woven fabric, this stylish cover up is ideal for daytime and evening wear. Featuring a crochet design to the back and 3/4 length sleeves with flute cuffs. Team with skinny jeans and a cami top to complete the look. It's super versatile and can be worn with any outfit.